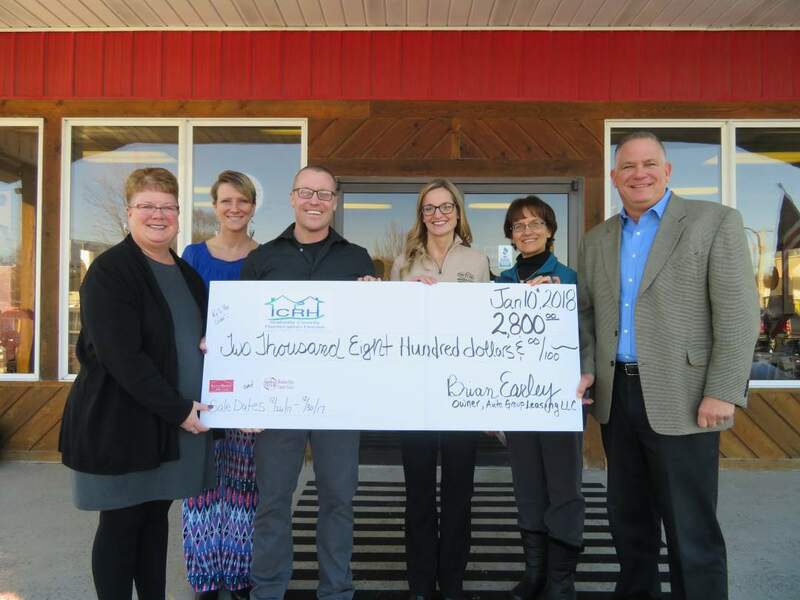 We want to extend a HUGE THANKS to all of our customers for helping make our December 2017 Credit Union Sale a BIG SUCCESS! 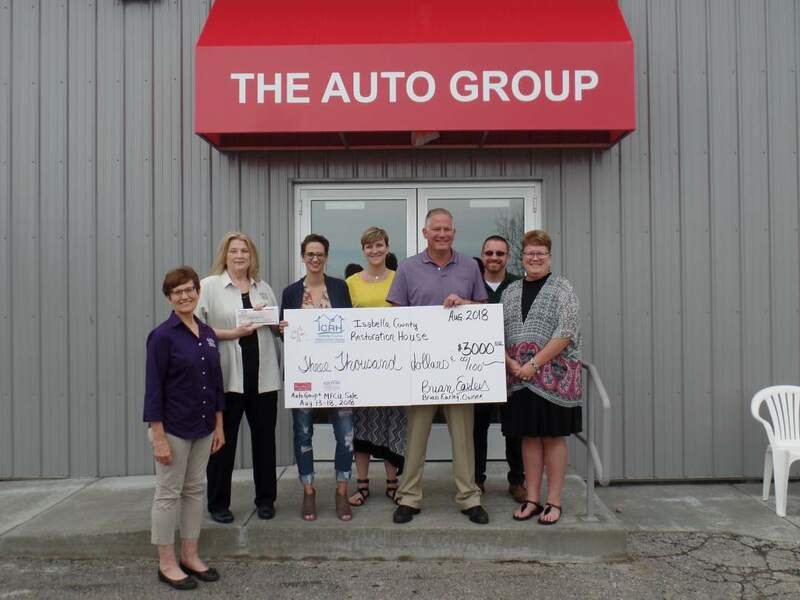 The Auto Group was able to donate $2,800.00 to the Isabella County Restoration House! On behalf of Brian Earley and all of the staff here at The Auto Group THANK YOU!!!!!! Many considering your mode of transportation an integral part of everyday life. Between work, school, daycare, shopping and any other errands, we spend a good portion of our days needing to get from point A to point B. In today’s day and age, we all have several options for that transportation which include owning, leasing, taxis, trains, public bussing, and up-and-coming options like Uber. But they all boil down to money. You need money for each and every one of these options. While every person has their opinions on what works best for them, here are a few benefits of actually owning your own vehicle. · The first benefit is freedom. Knowing you can hop in your car, truck or SUV whenever you need to go somewhere is priceless. There is no waiting for the bus or taxi or train to show up and then have to sit through their respective routes to arrive at your destination. You will arrive at your destination on your own schedule and your own convenience. · The chance to improve or establish your credit. As long as you make your monthly payments on time, you can show other creditors that you are a reliable and dependable member of society that will help you make other purchases on credit such as houses, credit cards or other big purchases that you may not have the cash to front. · Some argue that vehicle ownership builds stronger families. Having transportation at your fingertips means you can take your kids to that soccer game, or that family trip to the movies. You can help your kids excel in school by getting them after school tutoring or driving them to that volunteer event. And finally; road trips. Hop in that truck and take a trip together as a family building memories that will last a lifetime. · Most people purchase a vehicle by financing through a bank or credit union. If you finance for say a 5 or 6-year loan, the financial institution “owns” that vehicle for that amount of time. But as soon as you pay that loan off, that vehicle is YOURS; no monthly payments. As long as you do the routine maintenance on that vehicle, you can have reliable transportation for years and years to come. · Make it yours! When you own a vehicle, you can make upgrades or changes to it to make it represent you and your personality. If you want to paint it a different color, go for it! If you want to put different wheels and tires on it, do it! If you want to install a hitch so you can pull that 5th wheel or travel trailer or flatbed trailer with your toys, do it up! You can make your vehicle fit your lifestyle! We hope we have provided you a little bit of insight into the benefits of purchasing a car. Let it help bring you the freedom you want to be you and live the kind of life you want!